Previous PostBronson’s on Pinterest!Next PostDVR ALERT! 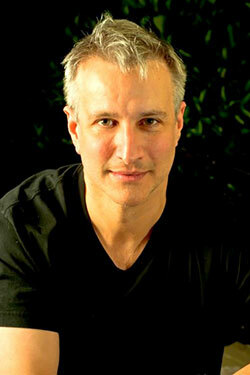 Bronson Pinchot Project airings! I just listened to Bronson’s reading of the Patricia Highsmith’s classic STRANGERS ON A TRAIN. I was bowled over by his ability to embody the nuances of each character. I have never heard a better audio presentation. Not only is Mr. Pinchot a brilliant actor, but also a gifted director. As well as performing, I feel he should be open to helming projects. He seems to be gifted in that respect. It is said that Ms. High smith was upset with Alfred Hitchcock’s film. I suspect she would be delighted if she heard Bronson’s Pinchot’s interpretation.